The project seeks to promote an active role of the students in the research of information, to improve their personal, professional and social competences , and teachers will be the facilitators. The project we have developed, called “Approaching Europe and its Job Opportunities”, lays the emphasis on the students’ learning more about their own culture and labor situation, and those of our European countries. There are five partners in this project: four VET schools in four different European countries (Italy, France, Germany and Spain), whose students will play an active role in the exchange of information and creation of a final guide of good educational practices; and an Italian NGO with experience in European projects, which leads us in the preparation of the project, in the search for suitable partners and in the dissemination of the results. Through specific actions and commitments related to intellectual activities and, ultimately, learning through action (PBL – Project Based Learning Methodology), we aim to train students, strengthen and increase their different skills (personal, social and professional), such as cooperation among students and the community that surrounds them, leading them in conflict resolution and interpersonal sensitivity and awareness to issues such as respect for multiculturalism, a sense of being part of a huge entity that is called Europe, the need for learning languages, the possibility of getting a job abroad, etc. We understand that the interpersonal behavior of young people is essential and it plays an important role in the acquisition of social, cultural and economic reinforcement of the community. Young people who do not show appropriate social behaviors experience isolation, selfishness, rejection and, overall, less happiness and personal dissatisfaction. This project is approached from the illusion and the belief that European education systems in coordination with their communities can meet the new challenges of coexistence and responsible citizenship in the 21st century Europe. 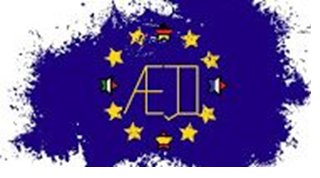 Aejo Project aims to create a comprehensive guide about the different opportunities which young people have and about the methodology to transfer the engagement about Europe and its job chances. In fact, students have been slowly introduced to a number of activities, such as virtual and real twinnings, experiential learning and discussions through the e-twinning tool of Erasmus plus. Students have been taught through the project-based methodology, in order to focus on the process of knowledge creation, rather than on the final results, building a unique lively experience. The different meetings have produced videos, new educational material, as well as they have put the basis for a common process of job orientation during/after school.